For the Man that just Hates Shopping……………..
Do you ever wish you were the kind of man who could just look dapper every day, but can’t even match his socks to his trousers? Or do you love to look stylish, but you’d rather be subjected to a Real Housewives marathon than go Shopping? Perhaps you’re just too busy to shop. Well, I can help solve all those problems. From what to wear for the boardroom to brunch, at any budget, I will do all the shopping for you. Men are shopping more than ever. 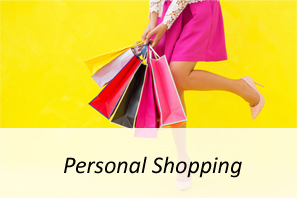 Many customers can be under the impression personal shopping is just for females…Believe me when I say IT IS NOT! Everyone deserves to feel good on a daily basis no matter what gender or age you are. (link then to click back to the shopping page) or should we just repeat the text here again? You want to get out of your "style rut" and love the way you look. Or you simply hate the clothes in your closet and feel like you need to start all over. It's time to get your closet and your life back. • 3 1-hour Skype sessions of one-on-one time with ME in your closet. • Complete 1-on-1 guidance with closet editing, organizing, and educating about why to put everything where and how to make changes to be able to "shop" your closet. • 10 new outfits with your own clothes. • Your own online closet with a stylist (ME!) at your fingertips at any time. • Shopping links for 5 new items that your closet is missing that I personally select and send to you. And by 5, I mean 5 categories and I send like 5 links for each item to give you choices. That's like 25 new choices to shop from...all picked just for you! 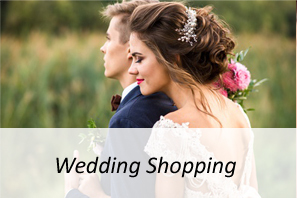 • Digital outfits to reference every time you get dressed so that you know exactly what to wear. 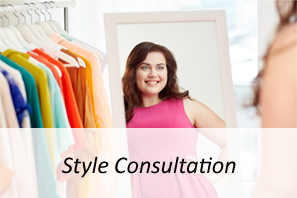 Why not enjoy a girl’s night in and get a style consultation with your friends in the comfort of your own home. I teach each group member on how to dress in accordance to their scale and body shape. I will also inform you on how different accessories can be used to enhance and outfit and how to distract from an area of your body that you are not happy with. The night will end with a makeup lesson. Throughout the night I will be giving helpful shopping hints on how to get that perfect outfit. How many people look in their wardrobe and say “I have nothing to wear”. Most women wear 20% of their wardrobe 80% of the time; which means a lot of clutter in the wardrobe leaving you feeling frustrated when trying to find something to wear. What you need to do is ‘weed your wardrobe’, and if you are not too sure how to do that, that’s where I come in! Annemarie will help you ‘weed’ out those items from your wardrobe that are not working for you, making more space for items that do work for you. Is your wardrobe bulging with clothes yet you have nothing to wear? We think we have nothing to wear, but in fact we have a wardrobe full, just waiting to be sorted! With a Wardrobe Weed you can release the potential of the clothes you already have and your outfits will be brought back to life. I will provide you with a list of gaps to help make the most of what you already have and what items you need to get. This will also stop you buying the same items over and over again as you will be able to see exactly what you have or need.